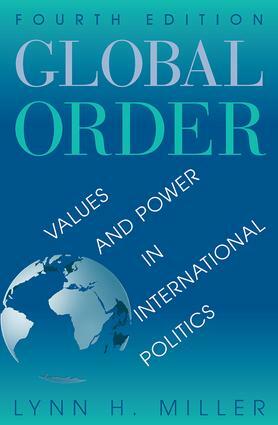 A survey of international relations, this benchmark text explains concepts of global order from the Westphalian system to current issues in international relations. In this latest edition, Lynn Miller covers new developments in ethnic violence, economic development, human rights, intervention, and environmental issues and discusses the potential developments and choices in the post?Cold War era, posing alternative ?new world order? scenarios that emphasize improving the world's ability to engage in peacekeeping in light of the Gulf War and other recent conflicts. The text advocates critical world-order values and proposes means for minimizing violence, maximizing economic well-being, enhancing human rights, and protecting the environment.